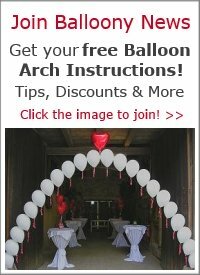 How do i decorate a balloon column with both tulle and curly ribbon? 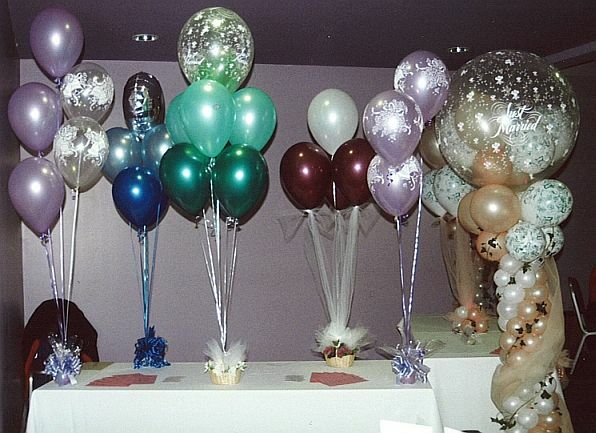 I'd like to know various designs I can do with tulle and curly ribbon on a ballon column, arch or bouquet. Comments for How do i decorate a balloon column with both tulle and curly ribbon? I have used tulle (the 6" on a roll type) for my String of Pearls arch. I used the 16" balloons so that it had a great float time and it looked very different from what is usually done on a SOP arch. 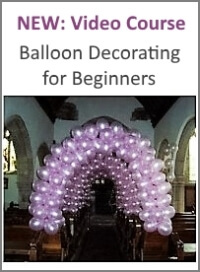 When you look through the examples on www.balloon-decoration-guide.com, you'll see that curly ribbon is used in most of our designs. 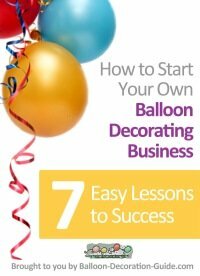 You could, for example, use contrasting curly ribbon to accentuate the balloons on a String-of Pearls arch. Tulle can be draped nicely around balloon columns, or to decorate a balloon bouquet, especially when you use a flower base with it. We always advice to attach the balloons with curly ribbon first and then use the tulle as an addition (as tulle can stretch and loose its tension). Please see some examples of bouquets and columns with tulle and curly ribbon. 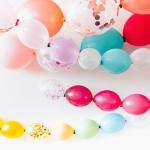 For more inspiration I would suggest to do an image search at Google for balloon decorations tulle ribbon.